Considered sacred by ancient Greeks, Romans, Egyptians and Hebrews Rosemary has a woody, evergreen like scent and is actually part of the mint family. Rosemary has been extensively used since ancient times for a variety of purposes.The Egyptians used it for Incense in ceremonial events, the Romans used it frequently in religious ceremonies, wedding ceremonies, food preparation, cosmetic care, and medicinal herbal care. It’s healing properties have long been known and used by many folk healers across the centuries. In modern day aromatherapy Rosemary is used to treat muscular aches and pains, depression, stress and for several beauty applications. Skin care: Rosemary essential oil has antimicrobial and antiseptic qualities that make it beneficial in efforts to eliminate eczema, dermatitis, oily skin, and acne. Regular massage with the oil helps in toning your skin and removing dryness. It can also give your skin a healthy, even glow when regularly applied, or when it is a main component of your moisturizers and other creams. 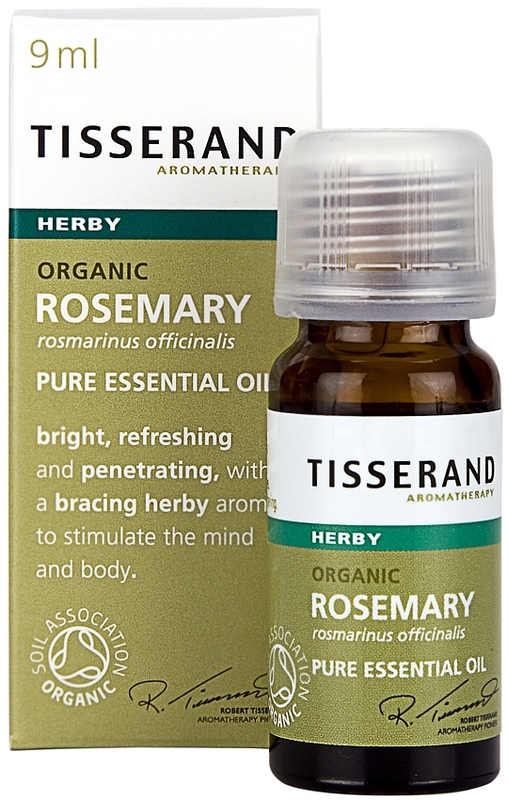 Oral care: Rosemary essential oil is a disinfectant and is often used as a mouth wash. It also helps in removing bad breath. By removing oral bacteria, rosemary essential oil can prevent gingivitis, cavities, plaque build up, and other damaging dental conditions. Care must be taken not to ingest any of the mouthwash during use. Hair care: Rosemary oil is widely used for hair care in shampoos and lotions. Regular use of rosemary oil helps to stimulate follicles, making hair grow longer and stronger. It is also beneficial for dry and flaky scalps. Regular massaging of the scalp with rosemary oil nourishes the scalp and removes dandruff. When mixed with Peppermint oil it can be added to normal shampoo and treat a dry scalp quite successfully yet gently. It is often added to Coconut oil or Olive oil which is gently heated and used as a hot oil treatment which is a great intensive hair and scalp conditioner. Pain relief: The pain relieving and anti inflammatory properties of Rosemary have resulted in its extensive use in treating headaches, muscle pains, rheumatism and arthritis. Massaging the affected area with warming Rosemary essential oil can quickly relieve aches or pain, as the oil increases circulation and begins to target inflammation. 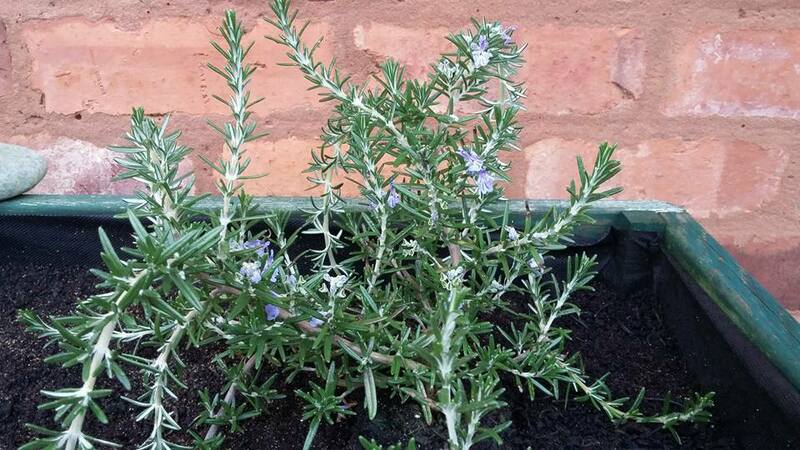 Bathing with rosemary oil is also found to be effective in the treatment of rheumatism. It’s excellent anti-inflammatory qualities are derived from it’s chemical constituent Carnosol which makes it very good for relieving the pain from sprains and joint aches from sports too. Its ability to increase circulation can also aid in coagulation of wounds for faster healing, as well as it’s antiseptic properties keeping the wounded area clean. 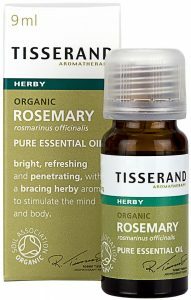 Boost mental activity: Rosemary essential oil is an excellent brain and nerve tonic. It is often used by students during exam times because it aids concentration and helps with focus. It stimulates mental activity and is a fantastic therapy for depression, mental fatigue and forgetfulness. Inhaling rosemary oil will lift your spirits immediately and will help to unfog a tired brain. In a 2003 study, researchers found that of 144 test subjects who inhaled rosemary oil during an exam displayed significantly higher cognitive function. 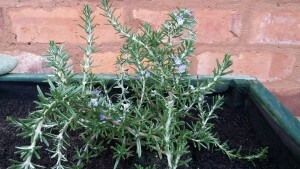 As a result of this further research is underway to see how Rosemary may be of help to Alzheimer’s patients. Stress Relief: When used in a traditional aromatherapy massage or inhaled, Rosemary oil has been proven to actually decrease the level of cortisol in the saliva. Cortisol is one of the main stress hormones that are released during the “flight or fight” response of the body to stress. Excess cortisol in the blood ( from chronic stress ) can wreak havoc on the whole of the human body, including destroying its hormonal balance and the efficiency of the metabolism. A study released in 2007 said that inhaling rosemary oil and lavender oil for just five minutes significantly reduced the levels of cortisol in the test subject’s saliva, which could seriously decrease the dangers inherent from chronic stress. Immune System: Antioxidants are some of the most valuable defensive weapons we have in our body for fighting off infection and disease, so anything that stimulates the activity or level of antioxidants is of huge benefit. The same study which found that cortisol levels decreased after simultaneous massage and inhalation of rosemary essential oil also found that the scavenging free radical activity in the test subjects’ bodies also increased significantly. This means that regular use or inhalation of Rosemary essential oil can increase the strength of the immune system and help combat all of the diseases associated with free radicals by increasing the bodily functions that fight them off. Respiratory problems:The benefits of rosemary essential oil in treating respiratory problems are well-researched and supported. The scent of the oil has been shown to give relief from throat congestion, and it is also used in the treatment of respiratory allergies, colds, sore throats and the flu. Since rosemary oil also has antiseptic qualities, it is also effective for respiratory infections. The oil is antispasmodic and is therefore used in some treatment programs for bronchial asthma. 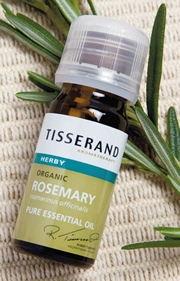 Rosemary essential oil is used extensively in aromatherapy. The oil blends well with Frankincense, Lavender, Clary sage, Cedarwo od, Thyme, Citronella, Lemongrass, Geranium, Chamomile and Peppermint. Rosemary is one of the oils taught on both the Essentially Curious Aromatherapy workshop open to all and also the professional Aromatherapy Blending Diploma available at The Retreat and at venues across the UK, all courses are booked to order. All essential oils should be patch tested before use and should be carefully measured. They should not be used during pregnancy or whilst breast feeding. Always seek professional advice before using an essential oil. So many to choose from, a favourite blend for refreshing ( especially as a footsoak is Juniper, Eucalyptus and peppermint!